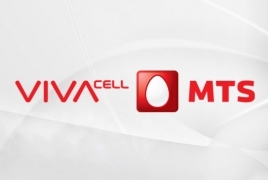 PanARMENIAN.Net - VivaCell-MTS started providing access to broadband Internet, IP TV and IP telephony services to Central Bank’s Rest House located in Dilijan. Henceforth, the rest house guests will enjoy FO-based secure and reliable IP-based package of services. The company considers the development of next generation IP-communication services as part of its long-term business strategy aimed at diversification, which, in its turn is the reflection of the growing global trend of the convergence of stationary, mobile devices, and TV into a single integrated information environment, it said in a press release. CEO & Co-Founder of SoloLearn Yeva Hyusyan has made it to the list of 50 female entrepreneurs to watch in 2019. Nearly 80 percent of PicsArt’s users are under the age of 35 and those under 18 are driving most of its growth. Sri Lanka tycoon suspected of helping sons in suicide bombings His adult sons, Imsath Ahmed Ibrahim and Ilham Ahmed Ibrahim, blew themselves up in Sunday's attacks. Some 140 Indonesian election workers, police die of exhaustion More than 7 million workers were deployed as almost 245,000 candidates vied for about 20,000 posts.